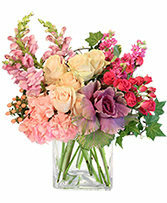 The Sweethearts Bouquet blushes with style and grace to create that perfect Valentine’s Day gift! 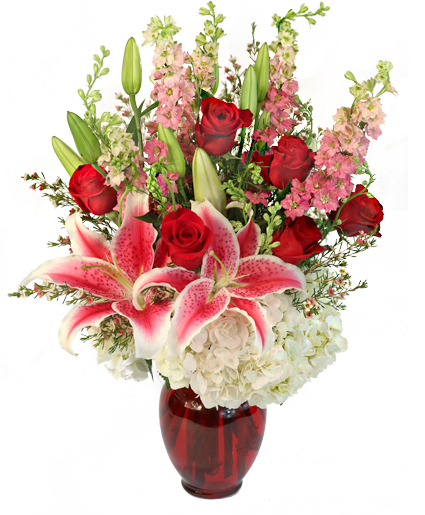 Hot pink roses, pink Asiatic Lilies, and red mini carnations are arranged beautifully by a FTD® floral artisan to create that perfect expression of your heart’s every wish. 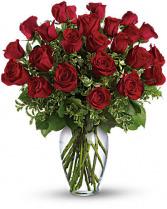 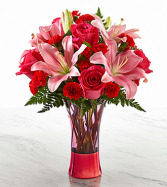 Presented in an elegant keepsake red glass vase that will simply never go out of style, this gorgeous fresh flower bouquet is a wonderful way to celebrate this holiday of love and affection with your special someone.